You are ($59.00) away from FREE Ground Shipping! Protect your eyes while looking fly! 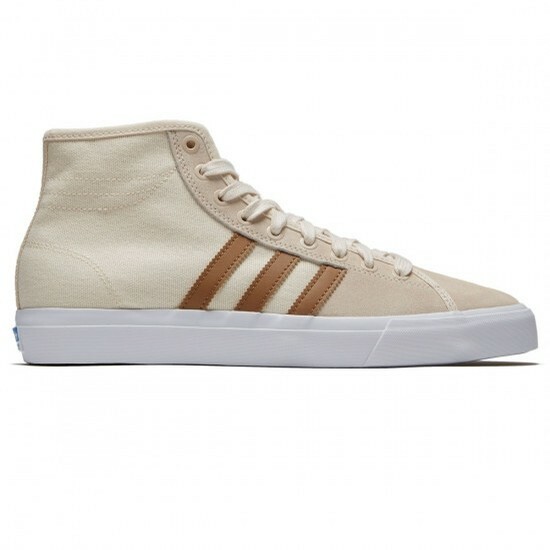 The Adidas Matchcourt High RX are a heritage-inspired Adidas high-top modernized to meet the demands of today’s skateboarder. The minimalist design of the Matchcourt High RX is complimented by the clean suede upper and the classic Adidas white accent stripes. The clean toe design and thin, flexible vulcanized outsole provide maximum control while you’re skating, while the high-top style adds extra ankle support and style.